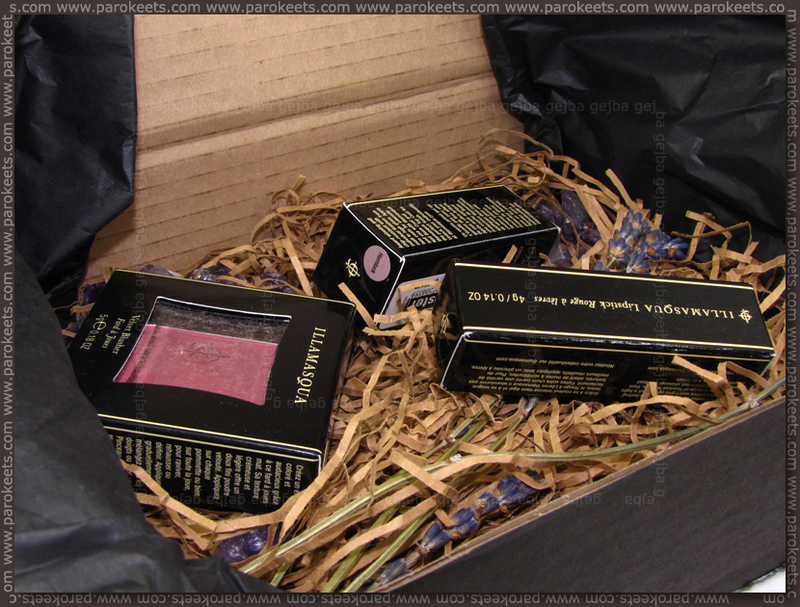 It’s always a joy to open one of imaginative Illamasqua packages – straw, amethyst like stones and lavender (OK – I didn’t like the smell of lavender, but it did look nice ). And then you get to the good stuff – cosmetic items. This time I played with Hemlock, Shard and Peaked from Illamasqua The Sacred Hour collection. Lipstick in Shard received the most thorough testing. When I opened it, I immediately fell in love. Dark warm tone purple in matt finish – is as they made it with me in mind. I may not wear vampy lipsticks often as full blown color, but boy do I love to wear them as stains or light layer for more umph effect. Pale girls with pale lips out there will know what I mean when I tell you that even stain brings life to my face. 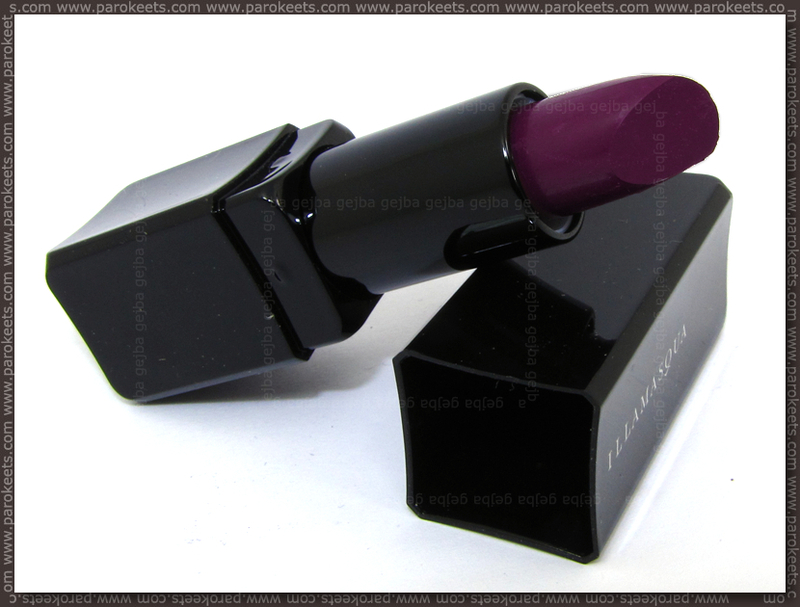 This is matte lipsticks so don’t expect it to be moisturizing but it does have great staying power. 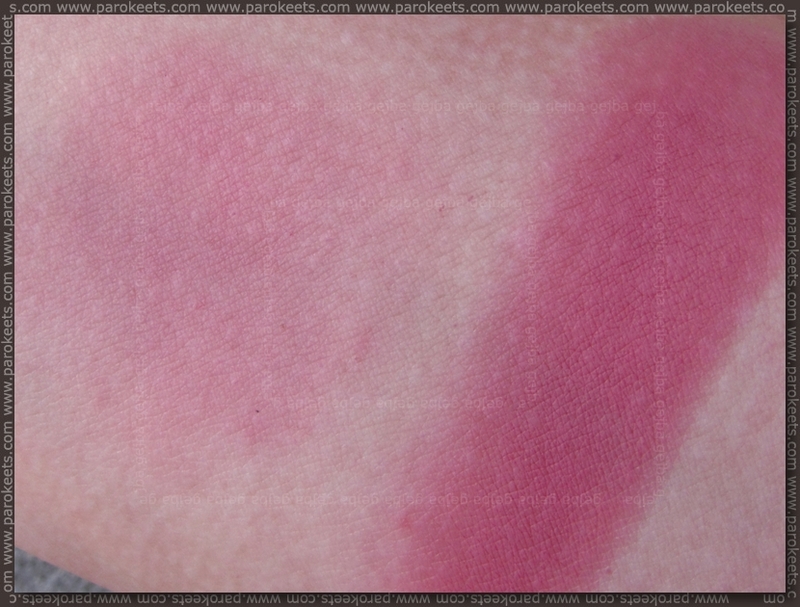 I swatched it as little bit sheered out layer, one normal layer and as deeper color. 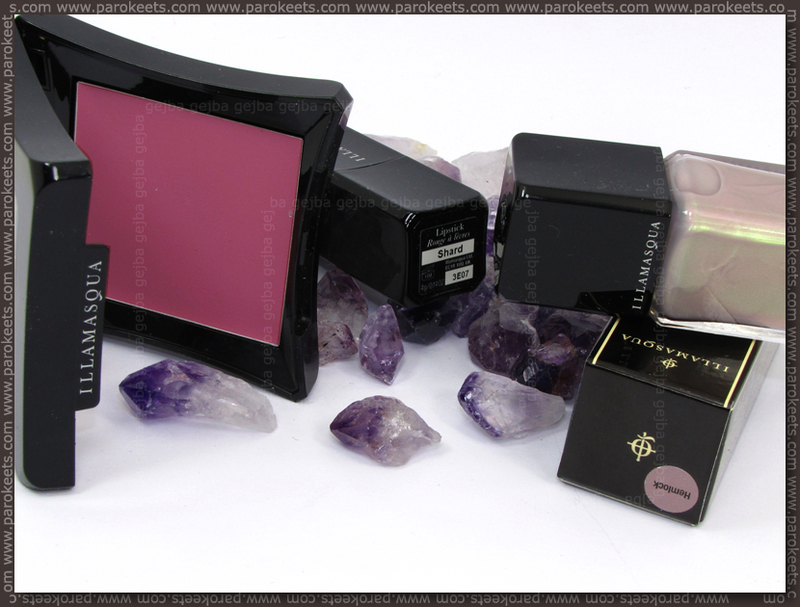 Illamasqua Velvet blusher in Peaked is perfect combination for Shard. 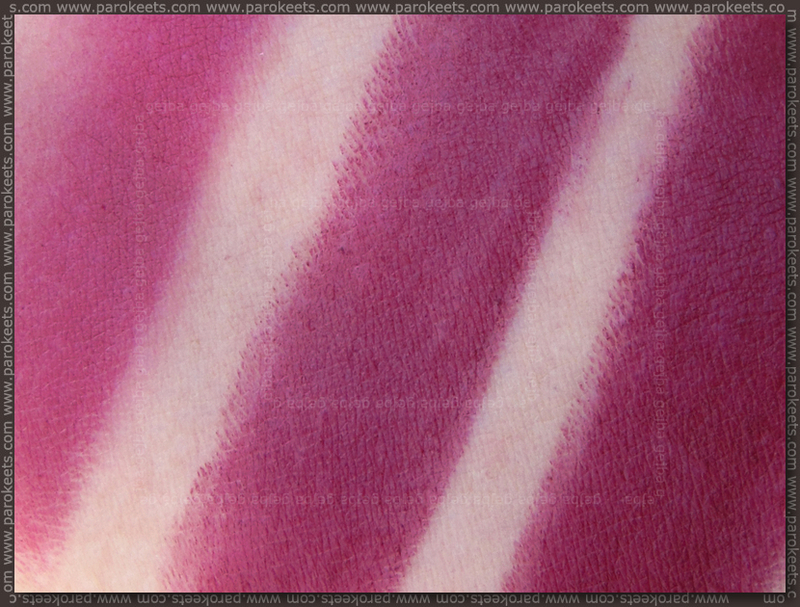 It’s not in the same color but this more dusty rose kind of color goes great with reddish violet. Formulation is little bit unusual. I guess it’s kind of cream to powder formula, but with better “powder” bit than majority of these kind of products. I tend to over do it with cream blushers especially if they’re as pigmented as Illamasqua’s, so I usually apply it with stippling brush and then make seamless transition with my foundation brush/sponge. Illamasqua Hemlock nail polish is pretty duochrome, but I didn’t went gaga over it as I did with first two products. I think I would love it more if it either were more sheer or less. On my nails 3 coats look like green shimmer in beige base color. Pretty but not wow effect. I still have to try it as layering nail polish where I think Hemlock will get more adoration from me. Previous articleIt’s a baby girl! I bought (and love) Shard. On me, it doesn’t look as straight-on purple as it does here. On me, it seems like more of a plum wine. If it’s dabbed on, like a stain, it can literally make you look like you’ve been eating berries. Jaz sem tudi zelo svetlopolta in na meni take vrste šminka pretežko deluje (preveč je kontrasta). Hmm. Tako bi sicer bolje izpadlo vendar pa se mi zdi da je predraga da bi jo uporabljala samo za stain (lahko s kakšno cenejšo tudi ta efekt dosežem). Hvala za link.